Are your dog’s paws often where they shouldn’t be? When your dog jumps up it’s generally because they want something. Whether that’s a piece of cake left on the kitchen counter, the overexcitement of meeting people, or simply because they want a comfy spot to sleep. But if you don’t correct your dog’s urges, these unwanted behaviors can quickly get out of hand. Or even turn into a frustrating habit. It’s a frequent complaint we hear from our clients, which is why we teach the “off” command to owners and their dogs here at Offleash K9 Training Colorado. 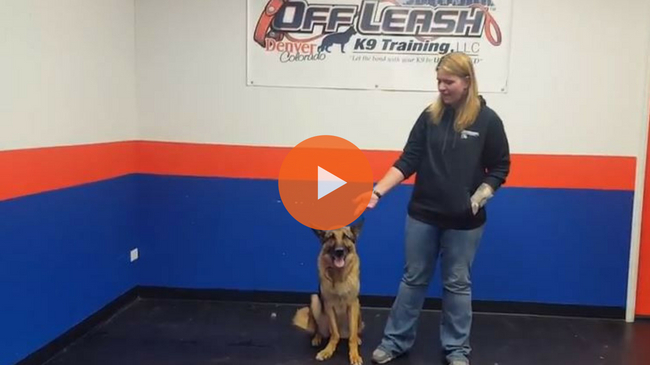 Teaching the “off” command gives you a reliable way to keep those four paws where they belong. Here are a few situations where the “off” command stops common problem behaviors in our dogs. We all love our dogs, but not everyone feels the same way. 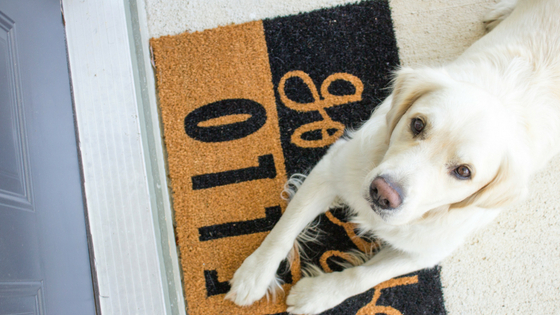 If you have guests around for dinner, not everyone will appreciate a bouncy, over excited Fido in their face. So if your dog is a social butterfly and jumps up to greet people, the “off” command will teach them to stay down. This will give your guests a chance to get through the door calmly and unscathed. Here is our trainer Stevie demonstrating the “off” command if a dog is jumping on you. Dogs of all kinds may hump other dogs, people and objects around the home. Even females do it. But if your dog mounts your party guests or another dog in the park, this can be rather uncomfortable and embarrassing for everyone involved. By using the “off” you’ll ensure your dog stops what they’re doing and understands its inappropriate behavior. If you leave left-overs on the kitchen counter, those smells can be very alluring to your dog. Dogs have an incredible sense of smell, so it’s best to leave food items locked away to avoid temptation. But if your dog often sees you preparing food, they may try their luck and attempt to investigate the area anyway. With the “off” command you’ll show your dog jumping up is unacceptable and paws should be kept on the floor. Dog are natural explorers. Our flower beds can be filled with enticing smells our dogs feel compelled to investigate. Scented plants are great for canine enrichment, but all that clambering around can come at a cost to your display. If your dog is often seduced by the sweet scent of your flower beds, use the “off” command to keep them in the appropriate areas within your yard. Dogs are instinctively attracted to a food source. So if there’s a family in the park having a picnic, or another dog walker has treats in their pocket, your dog needs to know it’s not ok for them to harass others. If your dog regularly pesters other people for food, the “off” command will tell them to get down and walk away. This is personal preference, but for larger dogs taking up an entire sofa, it may not be what you want. Muddy paws can also pose a problem if you want to keep sofas and bedding clean and tidy. So if you’d rather not have your dog on your furniture, a consistent “off” will show your dog it’s simply not an option. But be sure to provide a suitable dog bed in a quiet spot so they have a comfortable place to relax. 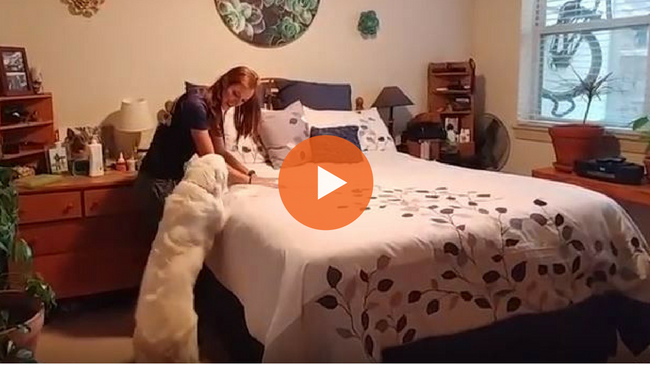 Here is OffleashK9 trainer Sarah to show you how to use “off” if you don’t want your dog up on furniture. Would you like to get additional dog training tips from our qualified trainers? Subscribe to our monthly newsletter and we’ll send them straight to your inbox.